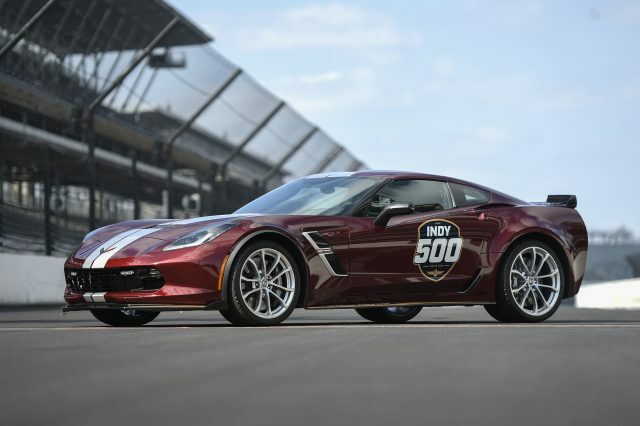 For the sixteenth time, a Chevrolet Corvette will serve as the pace car for the upcoming Indianapolis 500. Chevrolet and the Corvette are no strangers to this track. It’s the thirtieth time Chevrolet has paced the race since 1948. The Corvette first led the pack for the 1978 race with a black and silver third generation coupe. The 2019 Corvette Grand Sport features a Long Beach Red Metallic Tintcoat paint job with dual silver stripes and GM Design Indy 500 decals. It also features Grand Sport aluminum wheels, carbon fiber ground effects, and Brembo carbon ceramic brakes. To see the 2019 Chevrolet Grand Sport pace car, tune in to your local NBC station on May 26th at 11:00 a.m. The race will also be broadcasted on Sirius 216, XM 209, indycar.com, indycarradio.com and the INDYCAR Mobile app.